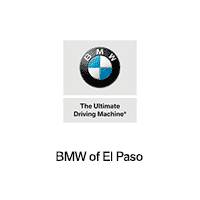 If you are looking for an affordable pre-owned car with the features you want, then it is time to make the drive over to BMW of El Paso. Our inventory changes daily, so schedule your test drive today to see this great selection of inventory priced under $10,000! We are excited to offer this 2011 Chevrolet Cruze. Drive home in your new pre-owned vehicle with the knowledge you're fully backed by the CARFAX Buyback Guarantee. The 2011 Chevrolet offers compelling fuel-efficiency along with great value. You will no longer feel the need to repeatedly fill up this Chevrolet Cruze LT w/2LT's gas tank, in part because of it's superb EPA rating. The Cruze LT w/2LT has been lightly driven and there is little to no wear and tear on this vehicle. The care taken on this gently used vehicle is reflective of the 98,873mi put on this Chevrolet. More information about the 2011 Chevrolet Cruze: The compact sedan segment is a crowded one, and Chevrolet is upping its game with the 2011 Cruze. Styling is in line with the company's other offerings, which means the Cruze already has a familiar feel to it. Cabin noise is mostly absent, thanks to triple-seal doors, a laminated windshield, and hydraulic engine mounts. And with an available 138-hp turbocharged engine with direct injection, it's possible to achieve excellent fuel economy with a sporty feel. Riding on a proven global platform, the Cruze takes the fight directly to the competition-- the Honda Civic, Hyundai Accent, Toyota Corolla and Nissan Sentra. Strengths of this model include efficient turbocharged power, quiet cabin, competent, well-handling chassis, quality interior materials, and Attractive, edgy styling We look forward to seeing you soon! Please call us for more information. We are excited to offer this 2015 FIAT 500. Drive home in your new pre-owned vehicle with the knowledge you're fully backed by the CARFAX Buyback Guarantee. Start enjoying more time in your new ride and less time at the gas station with this 2015 FIAT 500. The 500 Pop is well maintained and has just 29,695mi. This low amount of miles makes this vehicle incomparable to the competition. More information about the 2015 FIAT 500: The FIAT 500 is a small 4-seater with cute looks and great fuel economy. It's relatively inexpensive, but does have some upscale pretentions, with some trims competing directly with rivals like the MINI Cooper S. Like much more expensive Italian cars, the FIAT 500 offers more customization potential than is typical for an inexpensive small car. With a FIAT Studio system at dealerships, buyers can customize with interior and exterior accessories, striping packages and more. FIAT 500 Abarth models also live up to the small but wicked approach that inspired the 1960s-era performance models before. The idea is to offer high performance in a small car, with a dash of Italian exotic personality and pedigree. Safety is also a strong point for the 500; it's been named an Insurance Institute for Highway Safety (IIHS) Top Safety Pick. Interesting features of this model are Abarth model's track-ready performance, flamboyant exterior, practical, stylish interior, good gas mileage, and Nimble, responsive driving feel We look forward to seeing you soon! Please call us for more information. We are excited to offer this 2015 Chevrolet Sonic. Your buying risks are reduced thanks to a CARFAX BuyBack Guarantee. The Chevrolet Sonic LT speaks volumes about it's driver, uncompromising individuality, passion for driving, and standards far above the ordinary. It's exceptional fuel-efficiency is a clear sign that not all vehicles are created with the same standards. This 2015 Chevrolet Sonic has such low mileage it has been parked more than driven. More information about the 2015 Chevrolet Sonic: The subcompact segment seems to get larger by the year, and the 2014 Sonic faces stiff competition from established players like the Ford Fiesta and Honda Fit. With its nimble chassis and turbocharged 1.4L engine -- the only turbo in its class -- the Sonic offers a spirited driving experience its rivals can't match. Sedan or hatchback body styles also give it the edge, and with a low entry price and plenty of convenience options just a click away, the Sonic stands out as a real bargain for shoppers on a budget. This model sets itself apart with available turbocharged engine, sedan or hatchback body styles, nimble handling, fuel efficiency, and Aggressive styling We look forward to seeing you soon! Please call us for more information.